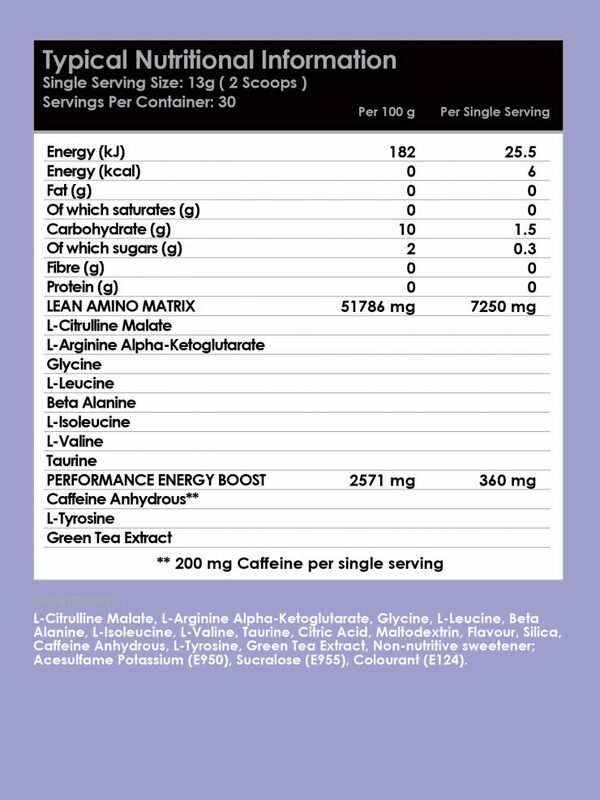 Stimulant-free beverage that not only tastes delicious, but also delivers incredible benefits. 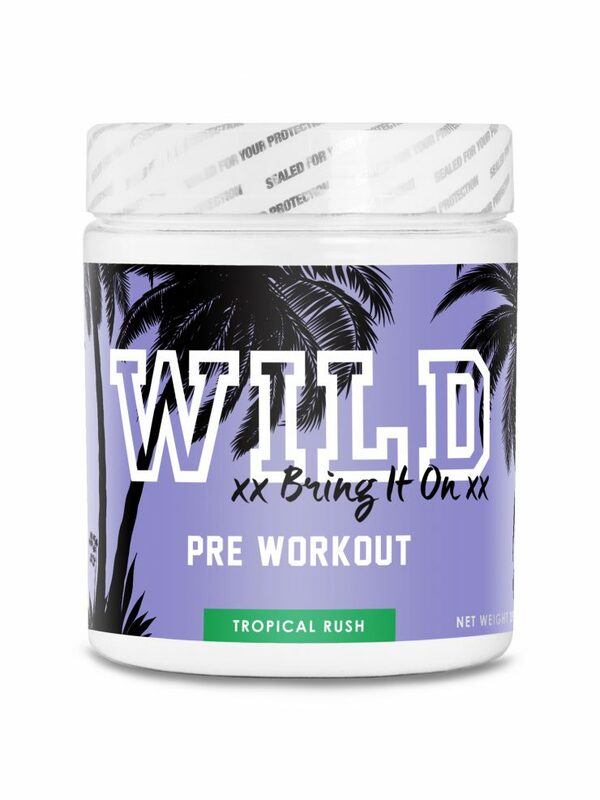 Can be easily added to Pre or Post workout mixes as well as your favorite smoothies. Essential for the growth and repair of intestinal lining. 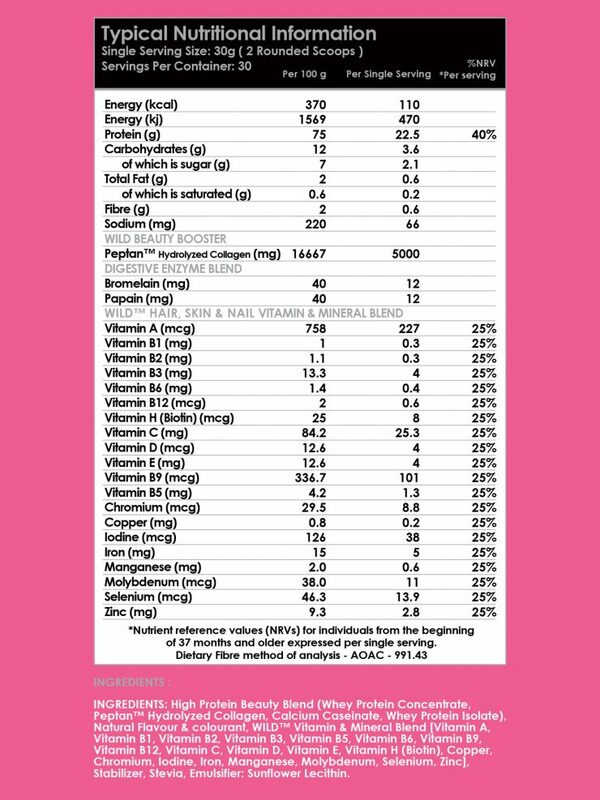 Improves digestive health and immune function. 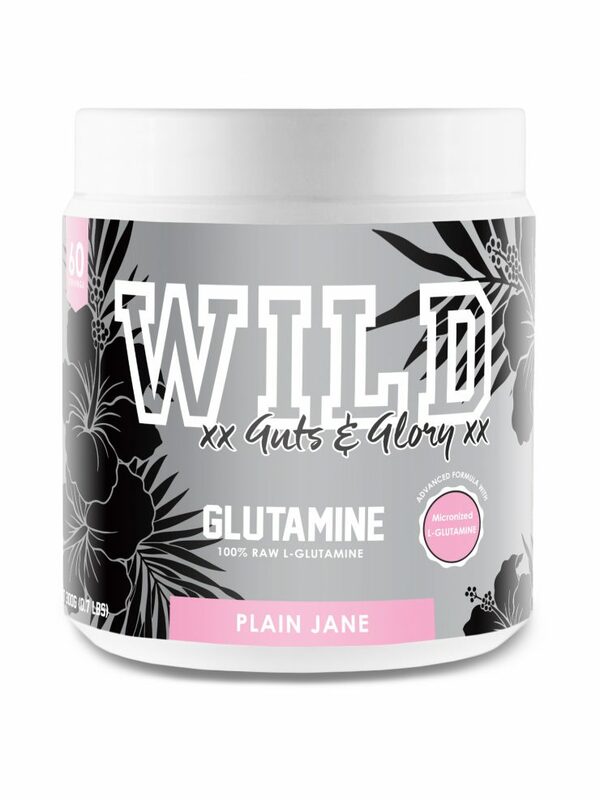 A highly versatile addition to your WILD essentials, Guts & Glory has been formulated using a micronized form of the semi essential amino acid L-Glutamine. 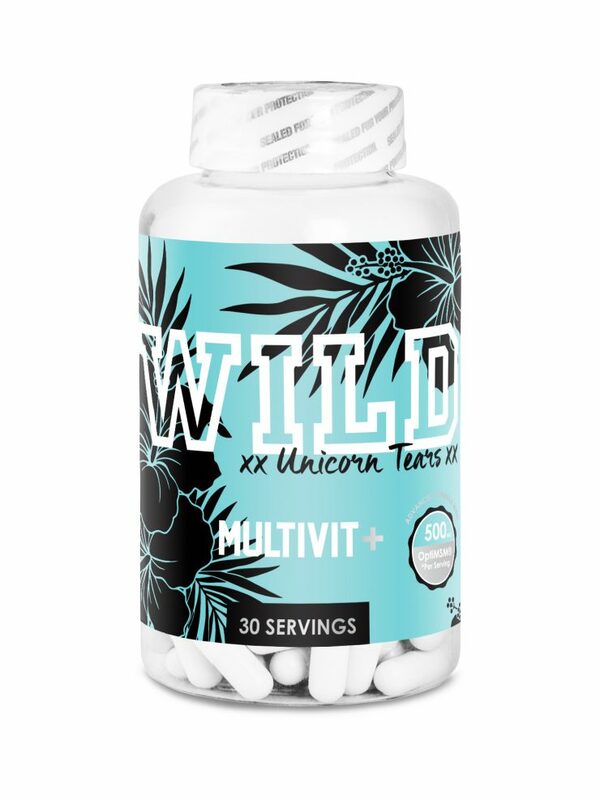 Dissolves effortlessly in water and can be easily added to Pre or Post workout mixes as well as your favorite smoothies for added benefits. 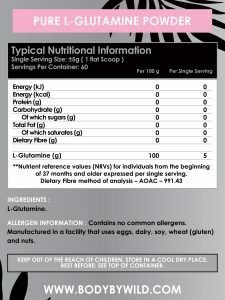 L-Glutamine has anti-inflammatory properties and is essential for the growth and repair of intestinal lining. 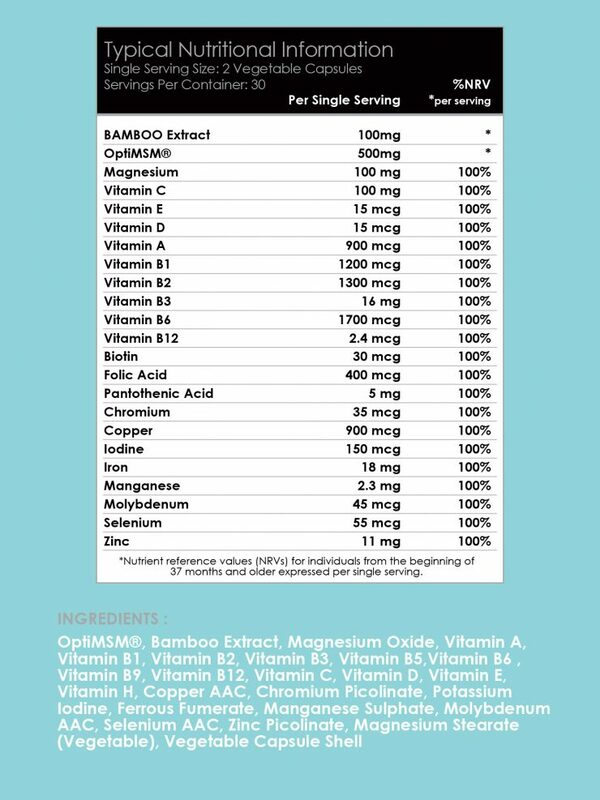 Boosts your immune system and improves your ability to fight infections and diseases. Helps support the metabolism and weight loss as well as muscle growth, recovery and preservation. 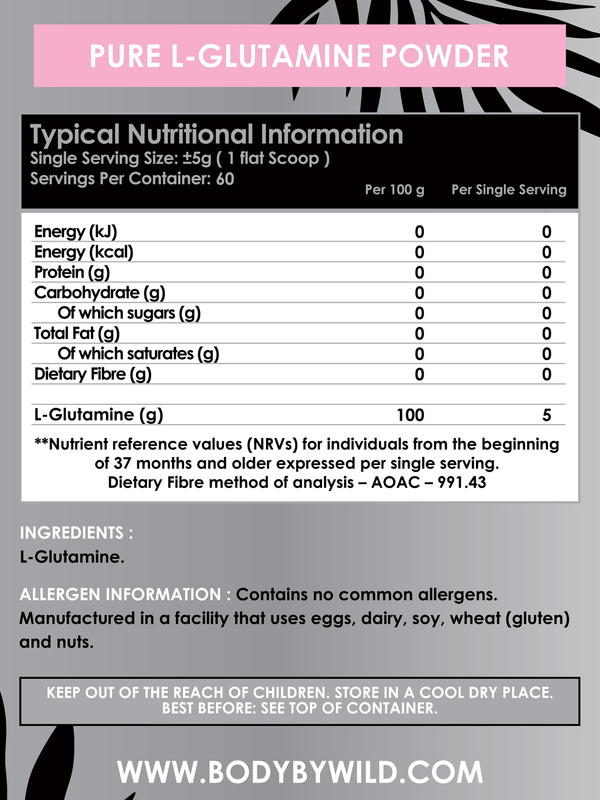 ALLERGEN INFORMATION : Contain no common allergens. 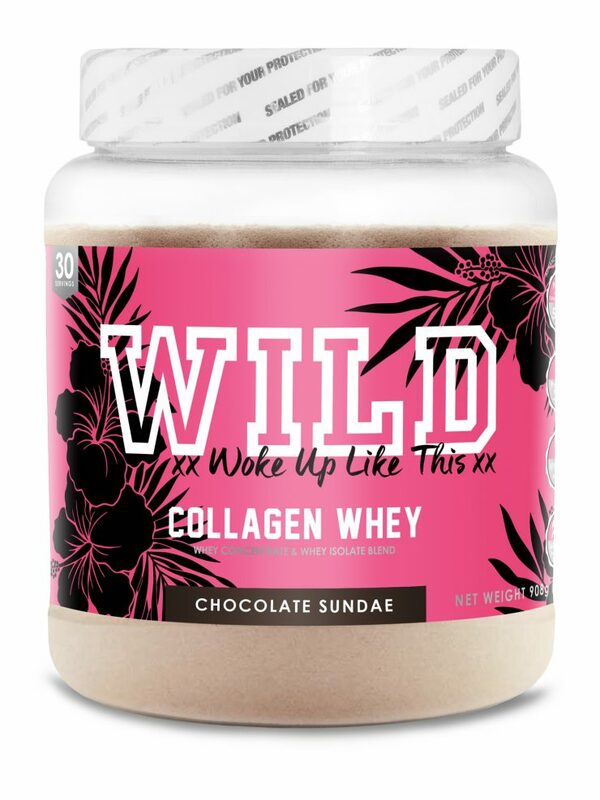 Manufactured in a facility that uses eggs, dairy, soy,wheat (gluten) and nuts.